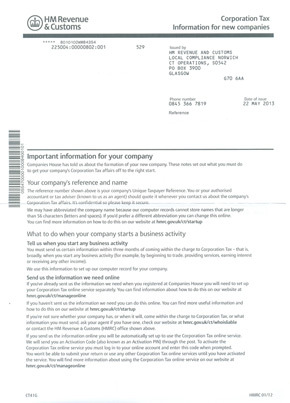 How to set up your company’s HMRC online account for Corporation Tax returns. How do I complete my CT41(G)? HMRC prefer you to create a Government Gateway account and complete all of your details online. Instructions for how to do this are included with the CT41 form. 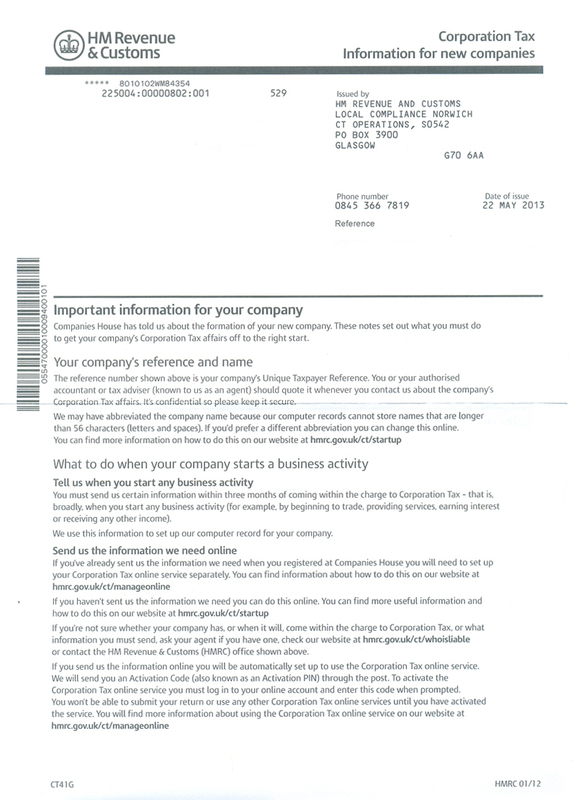 Although it is easiest to provide these details online, you can write to HMRC if you’d prefer. One of the questions HMRC will ask is if you want to appoint an agent to deal with your tax affairs for you - this will normally be your accountant. When you appoint an agent they will be able to speak to HMRC on your behalf about your business tax affairs, file accounts and returns; they will also get a copy of any post HMRC send to you. If you aren't confident about dealing with HMRC on your own then appointing an agent is a really good idea. If you don't yet have an agent to deal with HMRC on your behalf then our partners at Pinnacle Accountancy can be appointed to act as an agent for you. Just ask your business consultant for more information. When do I need to return my CT41(G)? You need to respond to HMRC within three months of your business starting to trade with the information they have requested on the CT41(G) form. The CT41(G) still needs to be completed if your company is dormant to let HMRC know that you don't intend to trade. It is also a good idea to keep a copy of the CT41(G) as a record of your UTR number, as this is going to be very important for your business (see below) . UTR stands for Unique Tax Reference. This code is unique to your business and will be used as a reference each time you contact HMRC. All of your company’s tax information will be stored against this number. It should be kept securely, and only you and your accountant or agent should have access to it. As a company director, you will also have your own UTR which will relate to all of your personal tax details. You will need this to complete your Self Assessment Tax return. Here’s an example of what your CT41(G) form will look like. Where can I get more help completing my CT41(G)? Our dedicated team of business consultants and accountants can offer guidance on completing your CT41(G) form. Simply call us on 01245 492777 or fill out an enquiry form if you need help.